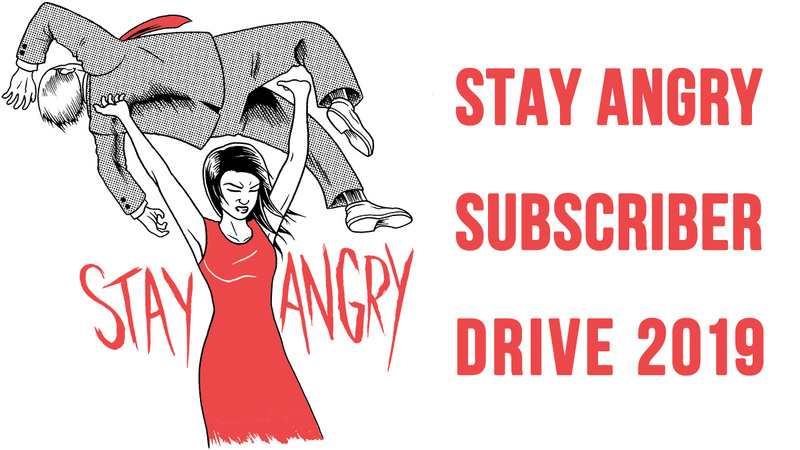 Use the promo code 'ANGRY' for discount tickets. Heads up, Seattle. 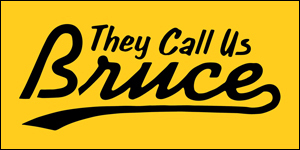 You are invited to ring in the new year -- the lunar new year, that is -- with some very funny people at a Chinese New Year Comedy Celebration, a special standup showcase headlined by "Canasian" comic Ed Hill, and featuring Xung Lam, Mona Concepcion, Shannon Koyana, Narin Vann and Hans Kim. It's happening Wednesday, February 11 at The Parlor Live Comedy Club. 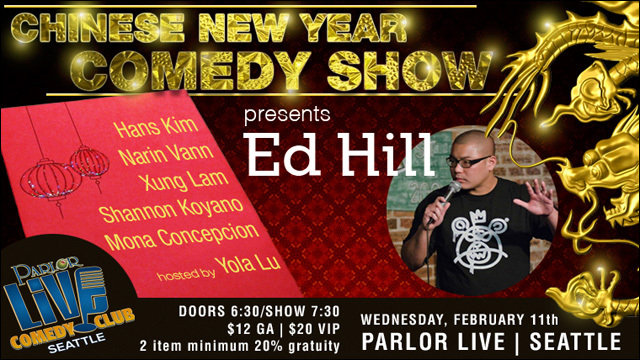 Ed Hill is coming to Seattle so he can celebrate Chinese New Year with you! This special comedy showcase will be headlined by Ed Hill and he'll be joined by a talented group of comedians. This lineup includes Xung Lam, Mona Concepcion, Shannon Koyana, Narin Vann, and Hans Kim! Yola Lu is flying back to Seattle so she can host this exciting showcase. This event will likely reach capacity so we recommend that you secure your seats by purchasing them in advance. The doors will open at 6:30pm on Wednesday February 11th at Parlor Live Seattle. Show starts at 7:30pm. The venue requires a 2 item minimum order from the food and drink menu and an automatic gratuity of 20%. Attendees must be 18 years or older. Represent, Seattle. Don't miss out on this fun evening! To purchase tickets (remember to use that discount code!) go here. For further information about the show and the lineup, refer to the Facebook event.